Made by The London Name Plate Mfg. Co. Ltd. Stores reference 6B/166. 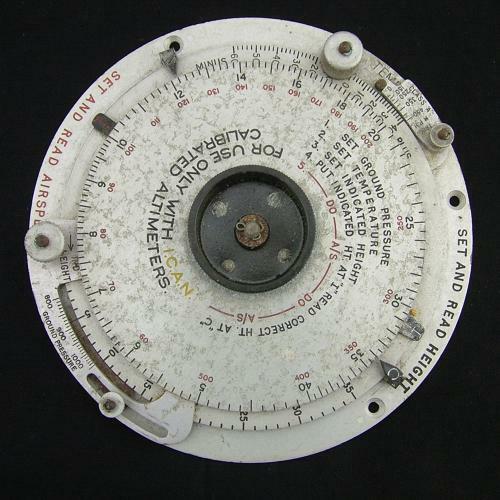 Circular white metal instrument with rotating discs for setting the ground barometric pressure, temperature, indicated height and airspeed. For use with I.C.A.N calibrated altimeters. Used by Navigators when plotting routes etc. With 1940 date code. A bit grubby but in good to good + used condition. Stock code M23408.